What Is Everton’s Best XI For The 2010-11 Season? 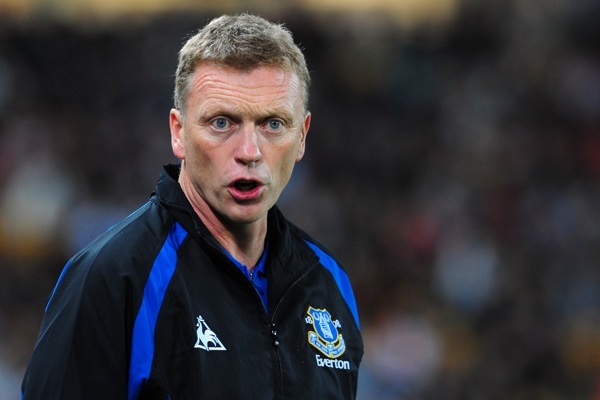 Okay, here we go again, this time in the shoes of Moyesy. Remembering that this is just a harmless bit of fun, I want you to pick Everton’s best starting XI for the coming season. The formation: Moyes loves a nice drop of liquid 4-1-4-1, and who am I to disagree with that stare… okay, I am going to change it slightly, and go for a more attacking 4-4-1-1 formation. I can’t tell you how tough it was to come up with a satisfactory XI for Everton, especially in midfield, where they have so much talent. Even now I can’t find room for the likes of club captain Phil Neville (I like Coleman a lot at RB), John Heitinga, Joseph Yobo, Diniyar Bilyaletdinov, Leon Osman and Victor Anichebe. Without P-Nev in the team, I’d give the armband to Cahill, who is a natural leader. Agree mostly with you in terms of formation but Nev needs to be out there in starting 11. Bring Coleman on as required. Also Jonny Heitinga is DE MAN. He has got to start along side Jags. Goal: Jason kearton. Defence: marc hottiger, earl Barrett, claus thompson, david burrows. Midfield: peter degn, danny wiliamson, ian durrant, john collins, Stuart barlow, michael branch. Bench: carlo nash, paul holmes, li wei feng, john ebbrell, rodrigo(l), Brett angel, john spencer. Then with Neville, Distin, Billy, Osman, Saha, Beckford, Coleman all on the bench were gonna be one hell of a force next season. Everton for the league, Up the toffee’s, COYB!!!! Anichebe, fellaini, arteta, rodwell, pienaar. hahahaha!!! look at number 7. Are you saying Fellaini wouldn’t make a squad of 18 at Everton? Ok mate yeah… u sir, are retarded. What a team and what a bench!! Subs: Mucha, Hibbert, Distin, Yakubu, Beckford, Coleman, Rodwell. Others: Vaughan and Anichebe should always be on the cusp as well. The futures bright – its blue and white!